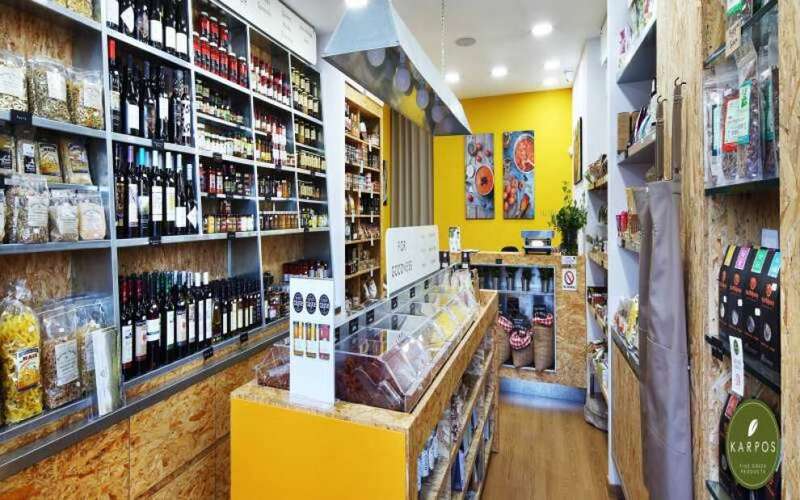 Remarkable stores of traditional products with fantastic and unpretentious flavours! 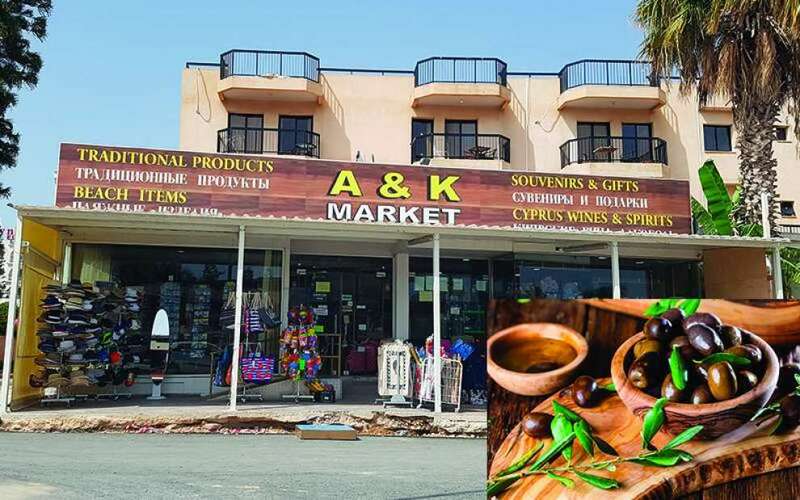 It is widely known that fresh Cypriot products are so delicious that foreigners and locals flock to every corner of the island to buy and taste them. A delight that you can never have too much of. The abundance of nature has blessed the island with so many wonderful products, from fruits and vegetables to herbs, which are the raw materials to make delicious dishes, traditional dishes and even cosmetic creams. 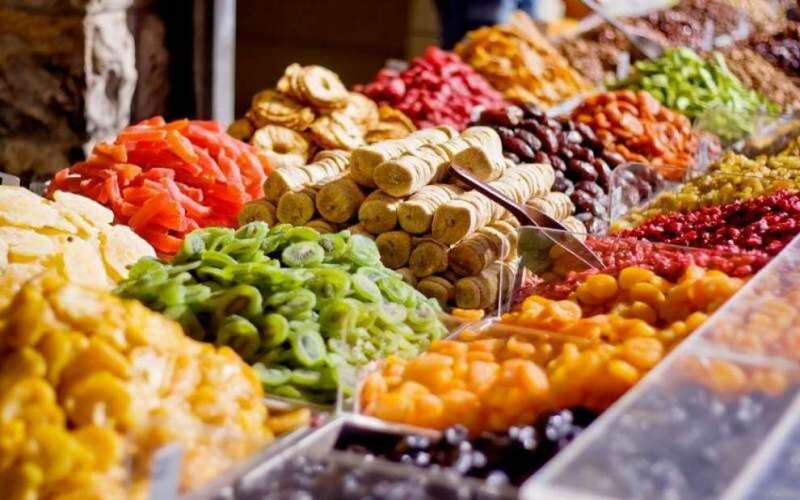 Some of them are wonderful spoon sweets, dairy products, dried fruits, pastels, wine, olive oil, nuts and anything else the human mind can think of and create. 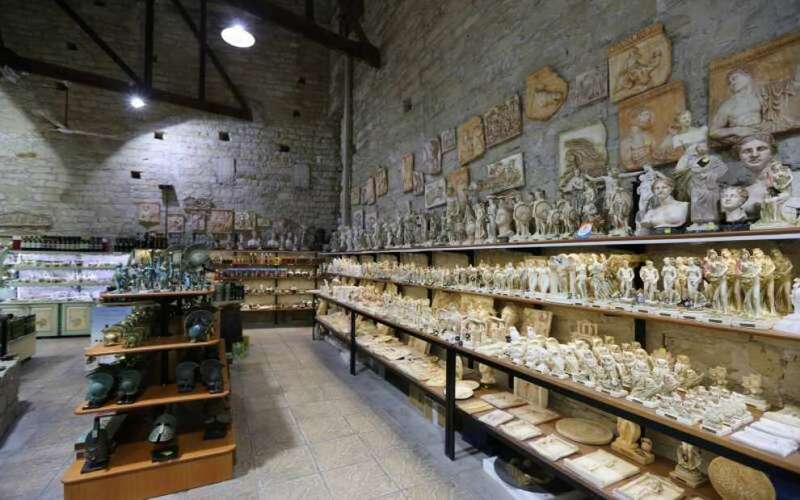 We have searched for and found the most excellent traditional product stores and we highly recommend them. The traditional products stores that follow are known to us and we are sure that you will enjoy the most delicious products from them. However, if you are not satisfied with any of them, please let us know. Send us an email here, we want to know about it. 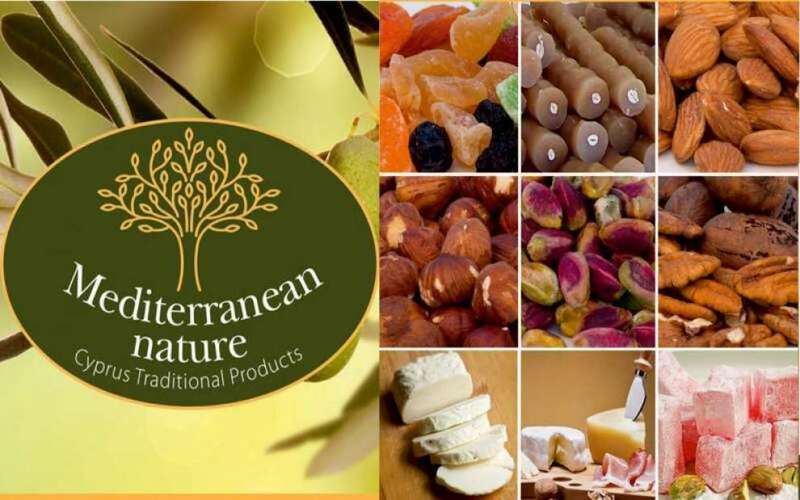 The word ‘Kypriaka’ simply means "products of Cyprus" and there at "Mediterranean Nature", their wide assortment of authentic Cypriot products gives every visitor the opportunity to take home a true taste of Cyprus. Cyprus, from the depths of the centuries, has a special tradition of flavours. The Cypriot people cultivated their land with love, and with their products they ensured to have a livelihood. Women were being more creative, making various dishes with these products. Over the centuries, recipes passed from generation to generation have formed the basis for the preparation of the traditional products of our island. The vineyards spread around the mountainous villages and produced local grapes to make the delicious Cypriot wine as well as raisins and sweets. 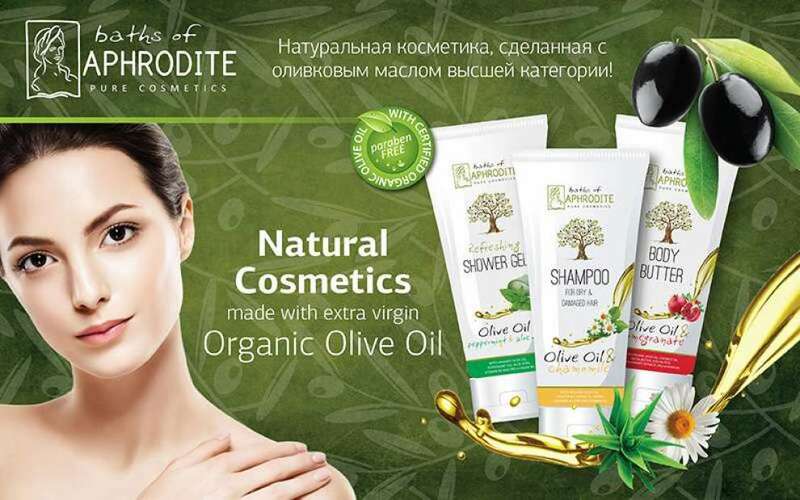 Olive groves producing green and black olives are used for the production of olive oil. In addition, organic honey is produced from wildflower nectar. 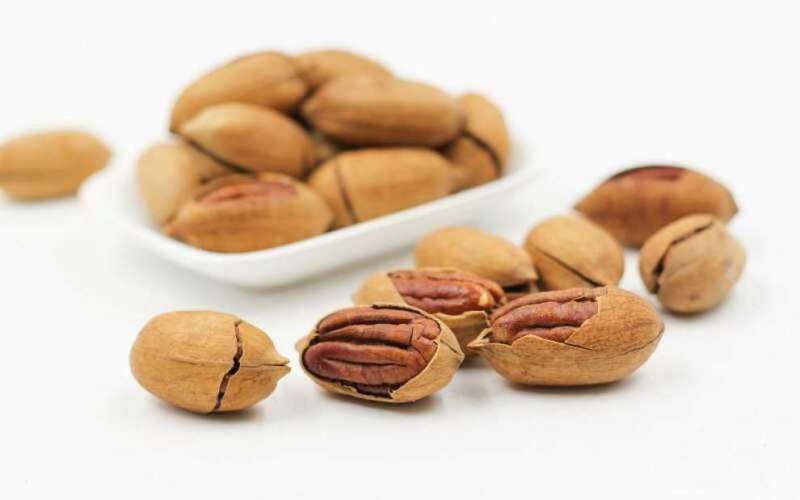 Locusts and carob beans are used in the production of nutritious desserts and mixed with almonds and peanuts, creating the traditional "pastelate". The rich red soil of "Kokkinohoria" cultivates delicious potatoes along with juicy watermelons and sweet strawberries, while fresh vegetables, cucumbers and tomatoes are used to create fresh crispy salads. The island's basic dairy products such as yoghurt, haloumi and anari are made from goat's milk and sheep's milk, while pork is used for a wide variety of dishes and other delicacies, such as smoked ham, aromatic sausages and stew. The variety of dishes are enriched by aromatic herbs and spices, such as oregano, thyme and coriander. Every dish, every bite and every taste is delicious and typicaly Cypriot! 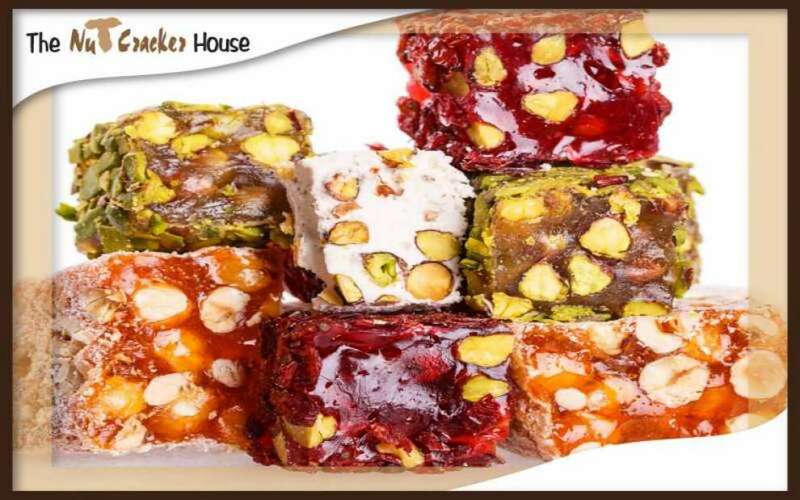 Soutzioukkos - potato kioskka: Five traditional sweets made from the grape juice in the villages of Troodos. Tsamarela - Odchtin: Traditional meat appetizers from beef with a strong salty taste. 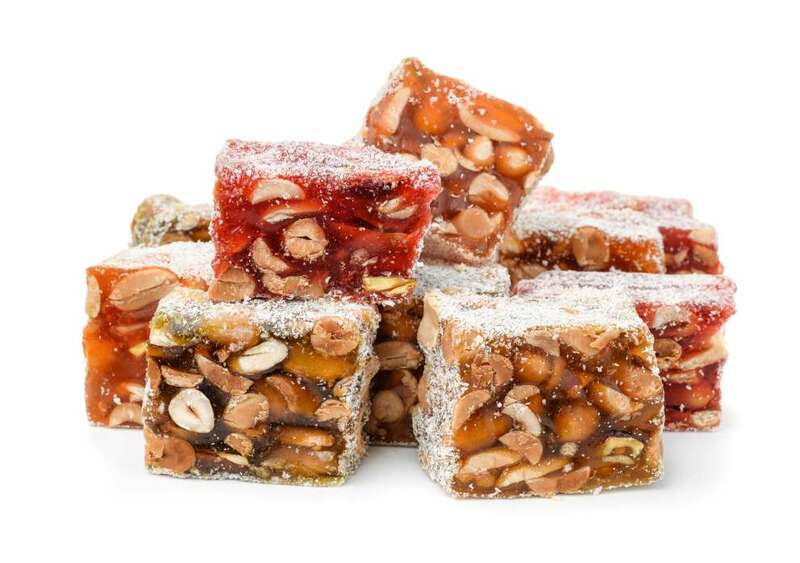 Geroskipou almond dragees: roasted almonds.